01.30 pm to 04.00 pm. The people that live here are envied by many; those that spend their holidays here even more so. 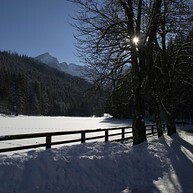 Garmisch-Partenkirchen will really move you – with its unspoilt and pure nature, vibrancy and Bavarian charm. First of all, you'll be overwhelmed by the mountains, nature and the breathtaking panorama. Next, the local people will win you over with their kindness, openness and honesty. And finally, you'll take unforgettable moments, memories and experiences with you. Outdoors: do sports or just relaxing. Experience the pure nature of the Alps. The rugged mountain ranges, the crystal-clear streams and the deep blue lakes. Wild and real, gentle and calm. Garmisch-Partenkirchen is one of the most charming landscapes in Bavaria and a great Region for hiking. Over 300 kilometres of marked footpaths invite you to discover the beautiful world of the Alps and promise special moments. You like adventures? You like absolut great views? 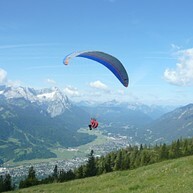 Then try Paragliding! It is one of the most exciting experiences and here, in Garmisch-Partenkirchen, you have the chance to make this great experience and you will enjoy the fantastic bird-eye views. No matter whether you are a professional cyclist, mountain biker or a passionate amateur cyclist, everyone will find his or her favourite route around Garmisch-Partenkirchen. Our routes offer a perfect combination of sport and recreation. More than a dozen mountain bike routes are waiting for you and your bike/s! 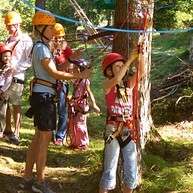 Holidays at Garmisch-Partenkirchen are adventure holidays. 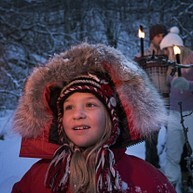 Our town offers lots of activities for families. From ice-skating (http://www.gapa.de/Eissport) to cycling, from climbing im "Kletterwald" (http://kletterwald-gap.de/) to the Alpspitz Wellenbad wave pool (http://www.gemeindewerke-garmisch-partenkirchen.de/alpspitz-wellenbad). 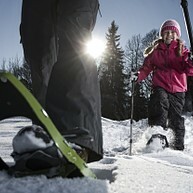 Garmisch-Partenkirchen is not just a destination for sports, but also for families. At Garmisch-Partenkirchen all swimmers and lovers of water get their money’s worth. Numerous lakes nearby, such as Pflegersee, Riessersee, Geroldsee or Eibsee invite you to take the plunge, dive in and dive down. When the wheather is really bad and cold, you don't have be to without swimming, you can visit the Alpspitz-Wellenbad Wave Pool Center. You love skiing, snowboarding, carving or freestyle skiing. Then, Garmisch-Partenkirchen is the right place for you. Germany's top winter sports resort has much to offer. Here, you will find conditions making your heart beat faster: more than 60 km of skiing slopes offering perfect snow from November to May.Well-prepared slopes ranging from easy to demanding, and modern lift facilities Beautiful views in an area with cosy ski huts. Slowly climb the mountain with your skis. Step by step. The ascent is exhausting, but you enjoy every moment . You are also looking forward to the one thing that makes you moving on: free downhill skiing into the valley. The calm and sinlence are quite marvellous, in which you can hear nothing but the snow crunching under your feet and your own breathing. Only a few more metres to go and you have made it. On the summit, your efforts will be rewarded with the great view over Garmisch-Partenkirchen. In Garmisch-Partenkirchen, you can even enjoy a hobby in an Olympic atmosphere: in our Olympic Ice Sports Centre. Originally, it was built for the 1936 Winter Olympics, it nowadays is a true highlight and the perfect setting for competition, shows and entertainment - not just in the winter, but also in the summer. No matter whether you are a beginner or a skilled snowshoe hiker – everyone finds his or her personal favourite tour here in the extensive winter hiking trails around Garmisch-Partenkirchen. Head out on your own, as a couple or in a group. 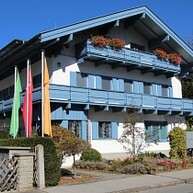 The Health-Corner in Garmisch-Partenkirchen offers guided hikes. You like hiking and you don't care if it is summer or winter? 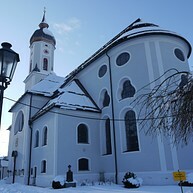 Then you are right here, in Garmisch-Partenkirchen. In the winter you can experience the silent nature of winter. 110 kilometres of cleared hiking trails invite you to wander, relax and enjoy the snow covered landscape. By the way: the Health-Corner offers also guided tours. Fritz Rohrbeck, director and founder of the Kleines Theater, felt drawn to the stage ever since he was a boy. After discovering the town of Garmisch-Partenkirchen he decided to start a theatre here, and thus the “Little Theatre” was born. The theatre is now managed by the 3rd generation of the family; its productions regularly delight audiences with their care and attention to detail. The founder of the Aschenbrenner Museum, Marianne Aschenbrenner, was born in 1928 in Düsseldorf. She told, that once she got a book about porcelain - and she was stoked. Now you can admire this special art: porcelain, which was called 'White Gold' in the 18th century, puppets and much more. Have you ever heard of Jim Knopf? Momo and the Grey Men? The Neverending Story? The author of these very famous books was Michael Ende. He has lived in Garmisch-Partenkirchen and now you can visit a exhibition which has his name. This collection is very exciting, not just for kids, even for adults.